So let me introduce myself. I’m a mom with two young children, an awesome husband, and a full-time television career (editor, producer, doc filmmaker). I’m also a long-time yoga practitioner and sometimes teacher. And somehow, I always seem to have an extra project or two brewing at all times. I guess you could say I’m pretty busy (who isn’t these days, right?). So, time for gardening? No way. But I DO have time and I’ll tell you how. I check my garden every day or so for 5 or 10 minutes, perusing and picking brown or chomped-on leaves and looking for unwelcome critters or disease. And then I water when needed. Overall, I spend about 1-2 peaceful hours per week in my garden. Working in or shall I say enjoying my garden is another form of yoga for me, a form of meditation and I recommend it to anyone who needs a little down time in this busy world that we live in. Why do I grow my own veggies? It was a let’s say, an organic process. My introduction to organic foods began in high school through an inspirational Chinese herbalist named Orisia Haas. From there, my four years at the University of Colorado at Boulder only hammered in the idea more fiercely. So now as a mother of two, I have an obsession with organic food for myself, my family and the planet. The thought of GMO’s, pesticides or hormones creeping onto the dinner plate freaks me out, although it’s bound to happen no matter how hard I try. As consumers we are not told if our foods are laden with hormones, pesticides or chemicals. The only way to control our food is to buy organic or better yet, grow it ourselves. Over the years since graduating college, I’ve always liked plants. As a native New Orleanian, the sultry heat was an easy place to grow a multitude of plants even if one had a brown thumb. But despite that, my success rate would range from super green thumb to professional killer of plants. You know, you get busy for a month and realize you forgot to water and the plant dies. For those of you who feel you’re too busy to garden, I totally get it. Now that I live in Southern California, getting amazing produce is just part of life here. 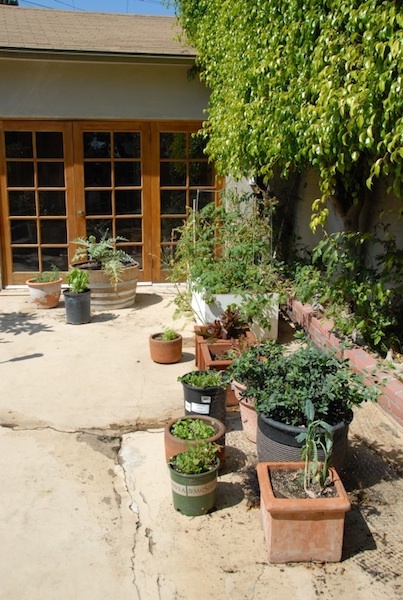 SoCal is the IDEAL place to grow food (but whoa, can organic veggies be expensive)! When my good friend Laura Klein (www.organicauthority.com) started planting her front and backyard with edibles, I got inspired and tried it myself. I read the Square Foot Gardening book by Mel Bartholomew which got me started. Mel is an engineer, so he’s super precise. At first it was exciting, but after a day or two, the creative/artsy side of me dumped the measuring and I just dove in. I’m more of a shoot from the hip type, so I decided to do it my way and dumped the charting, analyzing and planning. 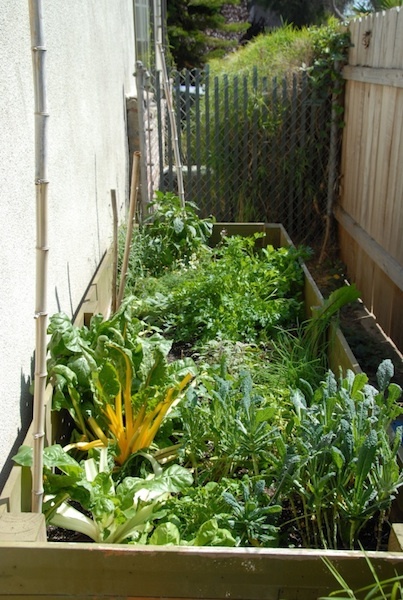 But, I did learn some great guidelines; the most important being: one can grow lots of food with limited space. Before I knew it, with some good soil and a little love, we were eating chard, arugula, sprouting broccoli and a plethora of herbs out of our garden despite the fact that I really didn’t have the ideal amount of sun or really know what I was doing. And then before I knew it, I became ADDICTED to backyard farming. Every container I could find was transformed into a vessel for growing edibles. Eating out of the garden everyday was exciting, stupendously rewarding and just downright cool. 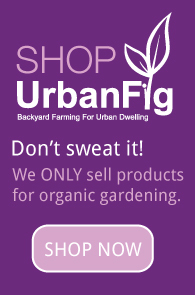 Thus, the birth of UrbanFig. 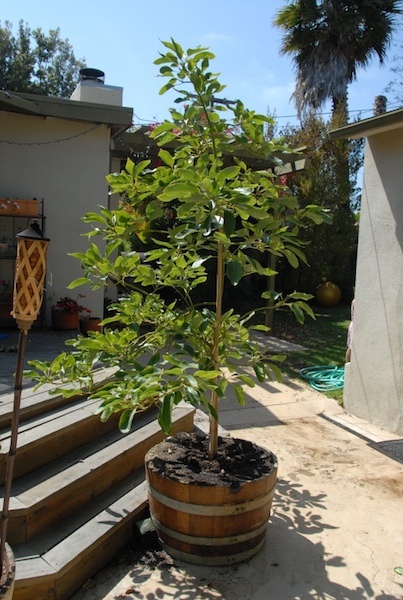 I want to share my simple methods with my fellow city slickers, so that you can farm organically in your own backyard. I want to keep it EASY and accessible. It’s NOT complicated. I’m here to tell you that growing your own veggies doesn’t have to be done perfectly. Just do it (as Nike says) and you’ll figure it out along the way.